Daphne Caruana Galizia's sister has hit back in response to Jason Micallef's strong objection to a permanent memorial for the slain journalist in Valletta's Great Siege Square. In a Facebook post, Corinne Vella accused Mr Micallef of spending hundreds of thousands in taxpayers' money on "vanity projects cluttering up a public square", but objects to flowers laid in memory of a woman who "held him and his corrupt patrons to account". Mr Micallef expressed his objection in response to the Civil Society Network which said it is in the process of formally applying for a memorial to Ms Caruana Galizia in Great Siege Square, which has doubled up as a memorial to the journalist killed last October. 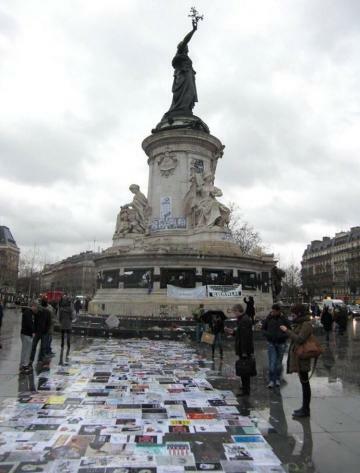 Place de la Republique in Paris where the late Charlie Hebdo journalists are honoured. In a statement, the network said it was appealing to Valletta council to recognise the makeshift civil shrine dedicated to Ms Caruana Galizia. It said some Valletta Labour local councillors intended to propose a motion which would see the removal of the shrine. Ms Vella did not mince her words. "Jason Micallef would not know democracy if it crept up his inside leg and bit him where it really hurts. He thinks the prime minister's office belongs to the prime minister. He now presumes to preach to us about where flowers may be placed in public spaces." She accompanied the post with a picture of Place de la Republique in Paris, France, three years after the Charlie Hebdo cartoonists were shot dead in a separate part of the city. "That's European culture, Mr Micallef. It's democracy in action, not the hollow sound of orchestrated parades on the streets of North Korea," she charged. Ms Vella pointed out that the flowers and messages in Great Siege Square are not a shrine but a rallying point for protest against impunity and against the government’s covering up for the people who commissioned her sister's assassination. "Jason Micallef is infamously in favour of public displays of flowers. It is the freedom to protest to which he objects and which he wants to shut down." On Friday, a video clip emerged of a woman who used a stick to clear floral wreaths laid at the site in front of the law courts. Her actions had prompted a social media outcry from supporters of the murdered journalist. 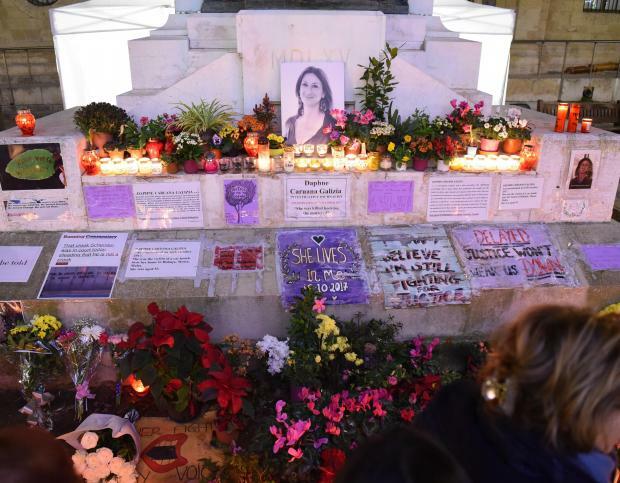 Civil Society Network Malta said the memorial was erected by the people for the people in order to remind the public of the brutal assassination of the investigative journalist. "The memorial will be a reminder and acknowledgement of Daphne Caruana Galizia to the present and future generations. A reminder of her work. And also a reminder that we are still awaiting justice." The memorial will be crowdfunded to remain truly of the people and for the people, the group said. 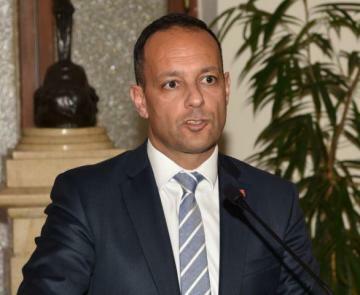 Jason Micallef triggered off a war of words. In a Facebook post, Mr Micallef said he would oppose a permanent memorial to Ms Caruana Galizia on Great Siege Square with every means possible, as V18 chairman and on a personal basis. He said no one should be contemptuous of historic monuments such as that of the great siege, a masterpiece by Antonio Sciortino. He said the authorities should apply common sense to protect the monument and he expected organisations such as Din l-Art Ħelwa to speak up. What do you think about the memorial? Go to www.timesofmalta.com and vote in our poll.